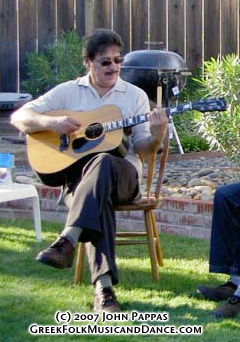 Here is a collection of random photos of John, T'Adelphia, various friends and relatives, and other interesting things from over the years. We'll be adding more as time goes on. 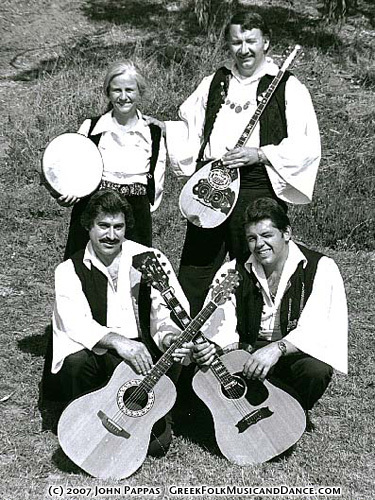 1980s: Paula, John, George and Jim pose for a photo. 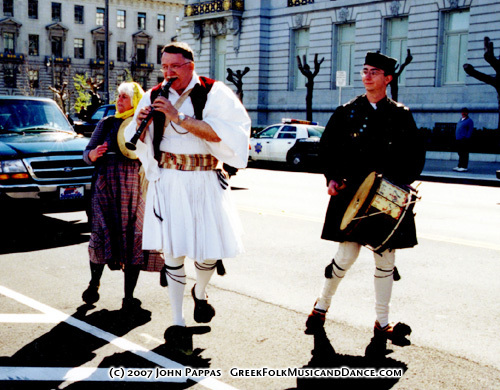 1999: Paula, John, and Stathi play for March 25 in San Francisco. 1999: Another view of the same. 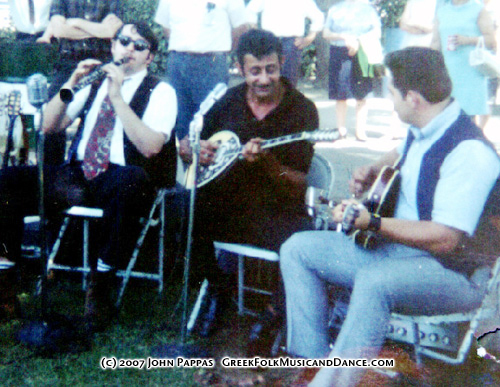 1970s: John, Jim, and George Gazis. 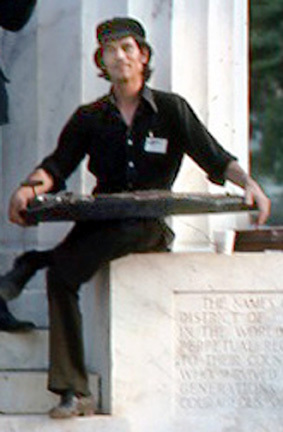 1976: John Roussos with his santouri at the Smithsonian. 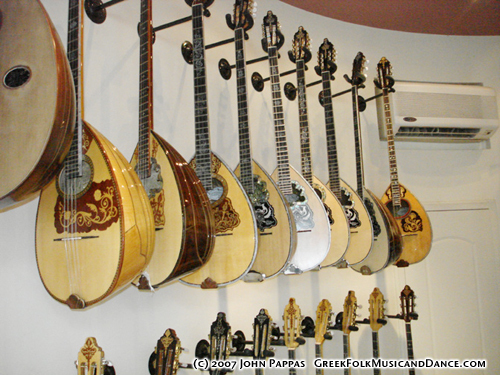 2006: Various bouzoukia at Spourdalakis' shop in Piraeus, Greece. 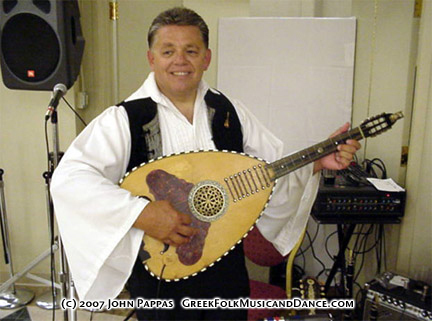 2006: John with his new Spourdalakis bouzouki. 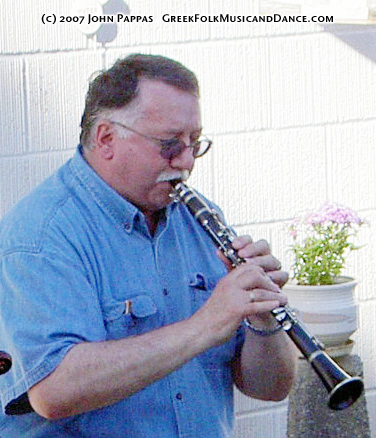 2006: Jim plays his new lavouto while John plays klarino. Athens, Greece. 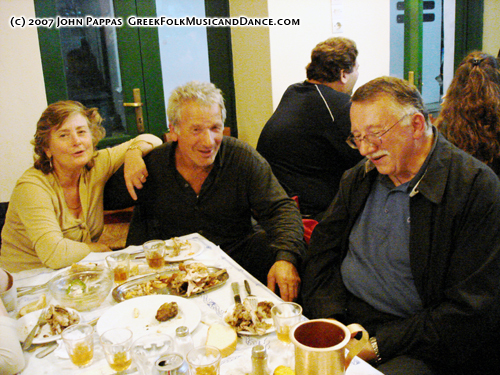 2006: John (right) sings Skyrian songs with friends Vangelio (left) and Ahilleas (middle) in Skyros. 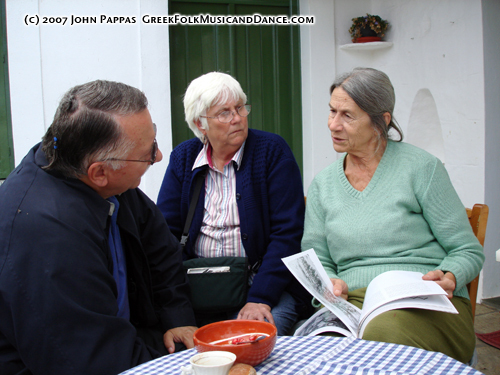 2006: John, Paula, and Aliki Lambrou in Skyros. 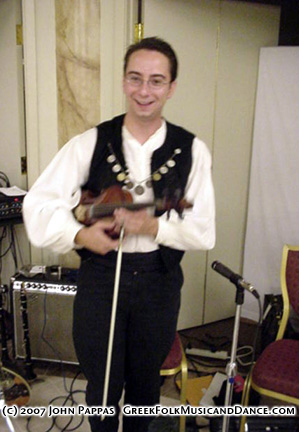 2006: John's new foustanella, from Arkadia. 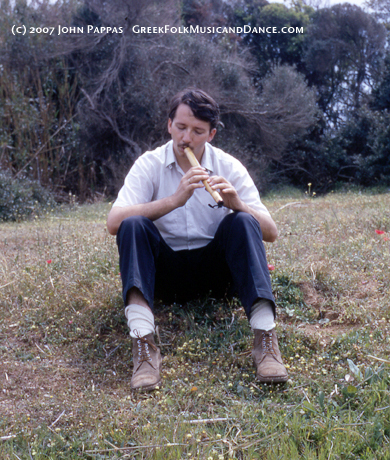 1971: John plays a homemade floyera in Kyparissia. 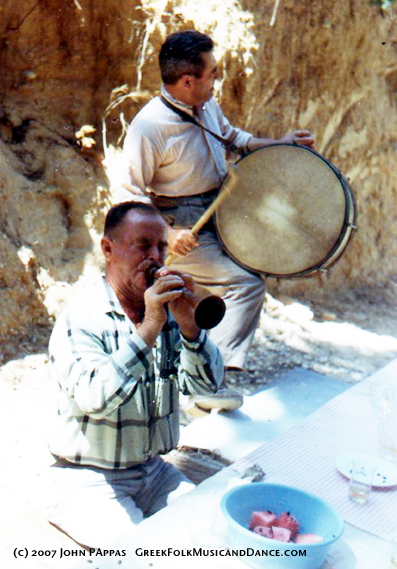 1966: Tsilis and Kalomiris with daouli. 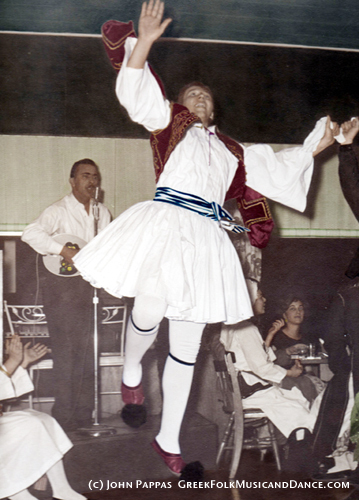 1961: John dances Tsamikos at El Cid, San Francisco. 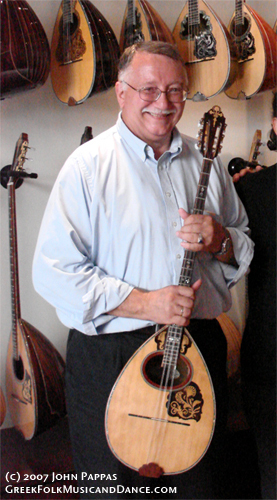 John Kaplanis is on bouzouki. 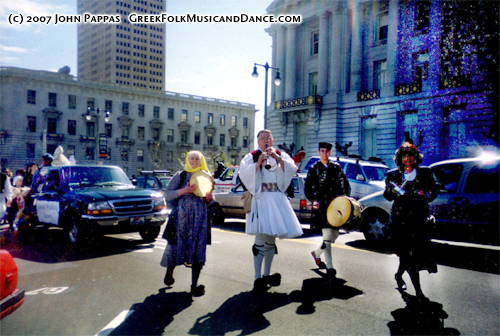 2005: George Doukas during our Greek Easter celebration. 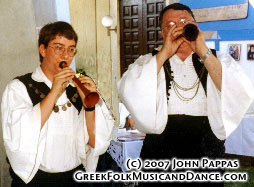 2005: John plays klarino during our Greek Easter celebration. 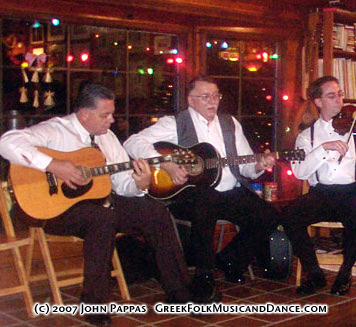 Jim, John, and Stathi in 2002: Playing an Irish waltz. 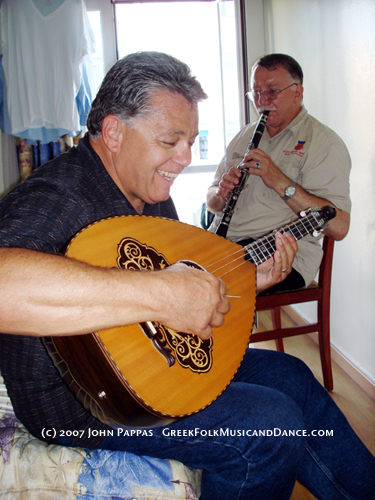 John and Stathi play karamoudzes at Saint Basil Greek Orthodox Church. 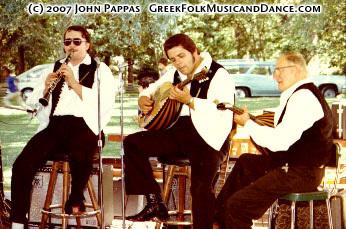 John, Iordanis Tsomides, and Jim in 1969. 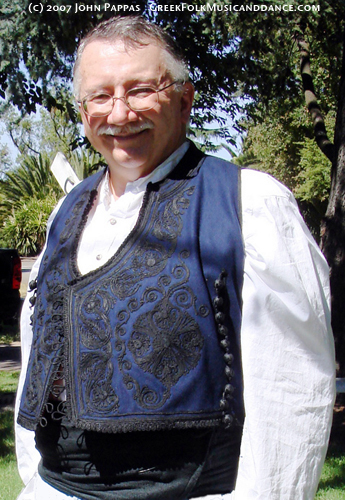 This page was last updated on 11/18/2007.